Our hardwood log nets are made from locally mixed hardwood timber. All our hardwood is sourced locally from sustainably managed FSC certified woodland. Seasoned timber has been dried naturally, using the power of the sun and wind during the summer months and then moved to be stored in our large barns, fighting for space with sheep and cattle on our family farm. Each net holds 10-12 hardwood logs. We are experienced at seasoning large volumes of firewood. The Logwise timber yard is lucky because it is nestled on the foothills of Nidderdale. This topography has guided the Yorkshire wind that has helped sculpt the incredible Brimham Rocks formations just a few miles away. 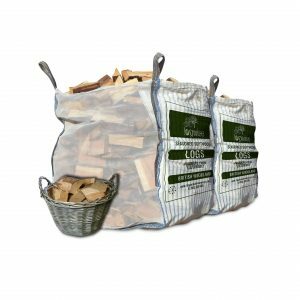 Loose filling vented bags and stacking them outdoors during the summer allows this wind to flow through the bag and reach the logs in the centre. This is important because seasoning in a large heap does not allow air to circulate to the central logs. 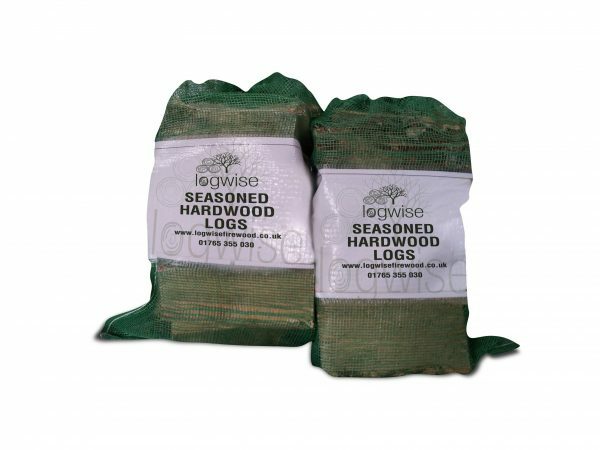 We use specifically made 1.2 cubic metre and 0.8 cubic metre bags with distinctive mosquito netting and vented sides to store and deliver our logs. This is the most efficient method of seasoning firewood whilst keeping the logs clean. 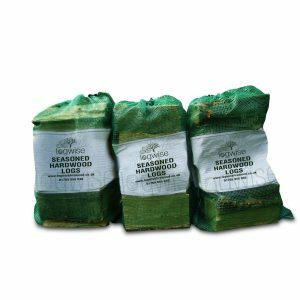 We also sell hardwood log nets, these are packed into nets by hand once the firewood is seasoned using specialist net packing equipment and machinery. 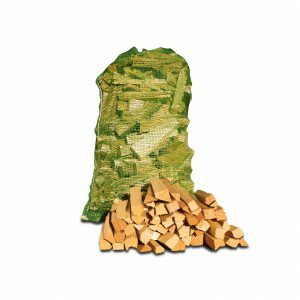 Our standard size of log is 23 cm (9”) long and 5 cm – 15 cm wide [+/-5%], however, we also sell these logs in 30cm to 40 cm lengths for larger stoves, fires and biomass boilers. 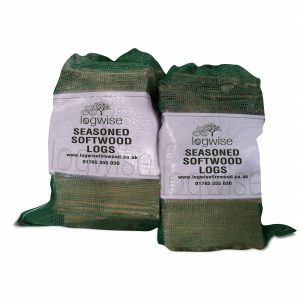 We always recommend our logs are kept in a shed, garage or a log store.